So much more about Mia and Centopia! 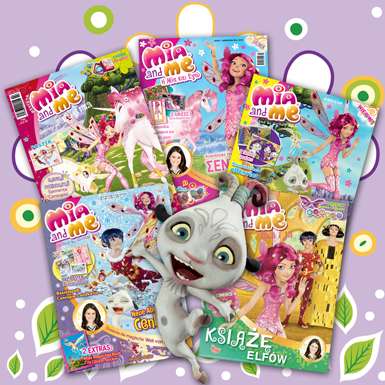 If you want to know more about Centopia, Mia and all the Unicorns, love posters with your favorite characters, enjoy crafting and solving riddles then don’t miss the monthly fan magazines of “Mia and me”. Available in more and more countries, such as Germany, Austria, Switzerland, Poland, The Netherlands, Romania, Greece and soon in Italy and France!